Fall in Love with Fun! When the aroma of pumpkin spice lattes fills the crisp air and Mother Nature’s paintbrush adorns the trees, it’s a sure sign fall has arrived. The hum of combines harvesting corn and beans brings to fruition the year’s work of growing and raising vital ingredients for our favorite foods. The splendor of fall makes it the perfect time of year to experience Iowa’s unmatched beauty. From goat yoga to corn mazes and hayrides, kids – both young and young at heart – can fall in love with fun this season! Here’s a roundup of a few of our favorite places where agriculture, fun, entertainment and food go together like cinnamon and apple pie! Please note, by clicking the links you will be leaving a partially funded checkoff site. If goat yoga is on your bucket list, look no further than Enchanted Acres in Sheffield, Iowa. Nestled in the soil-rich farmland of north central Iowa is Enchanted Acres – a place where all families can escape reality for a few hours and simply enjoy spending time together in the great outdoors. It’s that “happy place” where kids and kids at heart can channel Cinderella or Jack Sparrow, pick a perfect pumpkin, feed goats, learn all about chickens and enjoy relaxing yoga among goats! Offered three times this season – rain or shine – the goat yoga sessions will be led by instructor Di Dohlman. Enchanted Acres was founded by Shannon Latham in 2012 with the goal of creating wonderful family experiences and sharing a love of all things food and family. They have all kinds of fun activities planned this season as well as their market, featuring locally made items, produce and flowers for those who love a little shopping, too. Weekend activities also include a charity ball to benefit Make-a-Wish Iowa, Books in the Barn, Cookie Decorating Workshops, Container Potting, Simple Solutions for Dinner and a Tailgating Workshop for creating football-friendly foods. Enchanted Acres is open Sept. 16 through Oct. 28 for the 2018 season. For details follow Enchanted Acres on Facebook or at www.enchantedacresia.com. Center Grove Orchard in Cambridge, Iowa, is owned and operated by the Larry D. and Pat Black Family and has been open since 1994. They planted their first apple trees in 1986, and now have more than 20 acres with 6,000 apple trees of many delicious varieties. 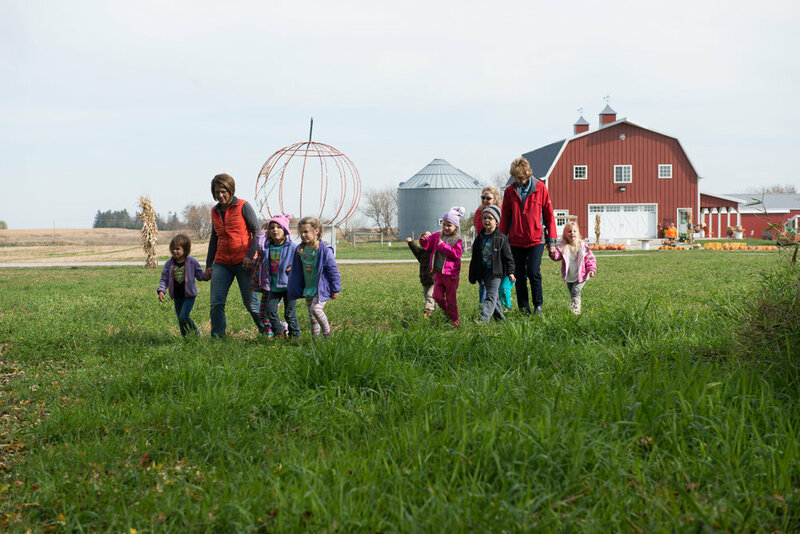 Center Grove Orchard revolves around passion — passion for the land, for the community and for offering wholesome, family-friendly fun. As a working farm and apple orchard, the orchard offers a lively farm atmosphere while providing visitors with an enjoyable, educational experience in a peaceful country setting. You won’t go hungry during your visit with four locations offering everything from meals hot off their grill, featuring burgers, pulled pork and homemade applesauce to walking tacos and their signature apple nachos. From September to December, Center Grove Orchard is a flurry of activity. 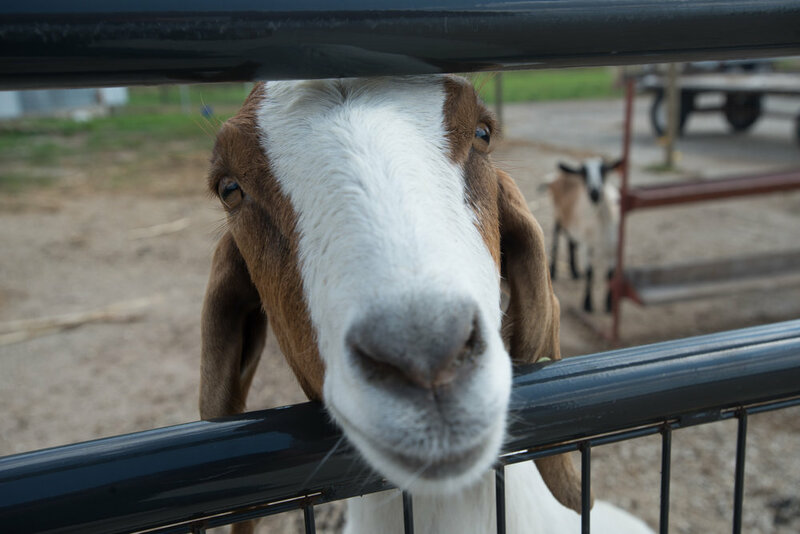 Visitors can step into the Farmyard at Center Grove Orchard for a day of amazing activities and fun. With more than 25 attractions, including animals, interactive activities, Corn Maze, Jumping Pillow, Super Slides, the CGO Express and more, this is the place to be for a family adventure. Plus, grab a bag to pick a peck of your own apples! Every fall, you’ll find pumpkins and other gourds in their 25-acre patch. They also offer peaches seasonally and Christmas trees around the holidays. Center Grove Orchard is open for the fall season from Sept. 8 to Nov. 4. For details follow Center Grove Orchard on Facebook or at www.CenterGroveOrchard.com. Geisler Farms, owned and operated by Darrell and Malinda Geisler, is a third-generation family farm that raises corn and soybeans in Bondurant, Iowa. The farm was established in 1945 by Darrell’s parents and grandparents. During the early years, the farm raised corn, soybeans, oats, hay, milk cows, hogs and chickens. When Darrell joined the farm business in 1970, it specialized in corn and soybeans. Malinda joined the farm in 2000 after serving agricultural writing positions in Cedar Rapids and Des Moines for 12 years. She grew up on a grain and livestock farm in Greene County. Each year, Geisler Farms creates a 10-acre corn maze. This year, they are celebrating the 50th anniversary of Casey's General Store by dedicating the corn maze to a Casey's-themed creation. In 2017, the corn maze featured the words "childhood cancer" as part of the shape of a ribbon in the center. The idea came from Suzanne Friedrickson, whose eight-year-old son Landon died after a four-year battle with neuroblastoma. He and his sisters would visit the maze every year. When people visit the corn maze in September and October, they are provided with a map and instructions on the maze activity. Hidden inside the 10-acre cornfield are 20 fence posts. Each fence post is numbered and has a unique paper punch chained to it. When a fence post is found, guests punch the matching box on their maps. It takes guests an average of 20 minutes to an hour to complete the maze. When conditions are dry, the maze paths are smooth enough for wheelchairs and strollers. When all the posts are found, guests show their maps and receive a coupon for a free slice of Casey’s homemade-to-go pizza. By the way, Casey’s homemade pizza was introduced in 1985, thanks to the “famous” meats, eggs and cheese produced on Midwest farms. Today, Casey’s prepares more than 20 million pizzas each year, making it the fifth largest pizza chain in the U.S.! The Fun Zone features 23 family-friendly outdoor activities for children and adults to enjoy. Activities include the Giant Slide, Jump Pad, Rubber Duck Races, Patio Maze, Table Maze, Pedal Karts, Tricycles, Hamster Roll, Corn Bin and Corn Hole Toss Game. A new activity in 2018 is Tug a Tractor. They also feature two farmer-built ADA-accessible wagons. Geisler Farms is passionate about pumpkins. Their pumpkin patch is located next to the parking lot on the west side of the barn. Pumpkins are sold on Saturdays and Sundays. The corn maze and fun zone are open on the weekends Sept. 1 through Oct. 28. Saturdays and Sundays 10 a.m. to 8 p.m. Precut Christmas trees are sold from mid-November through mid-December. For details follow Geisler Farms on Facebook or at www.geislerfarms.com.